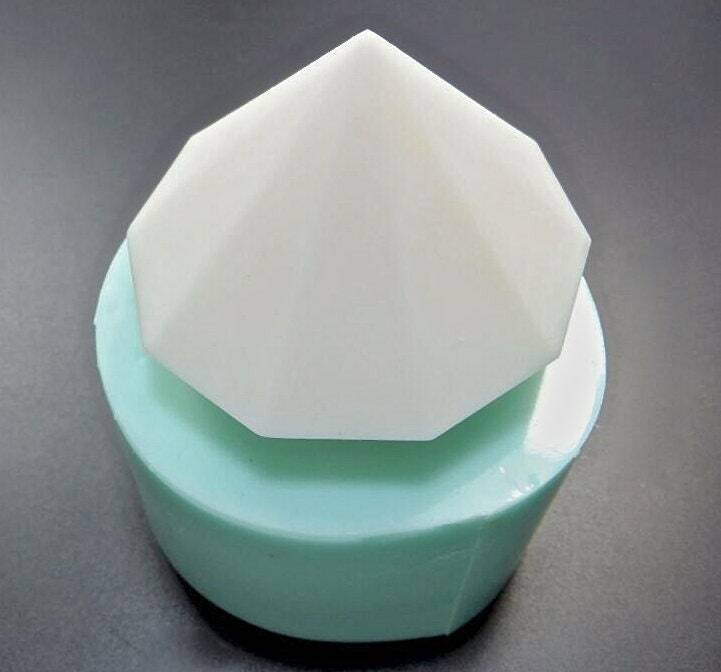 GIANT DIAMOND silicone mold makes a 2.5" x 2" 3D diamond (approximately). 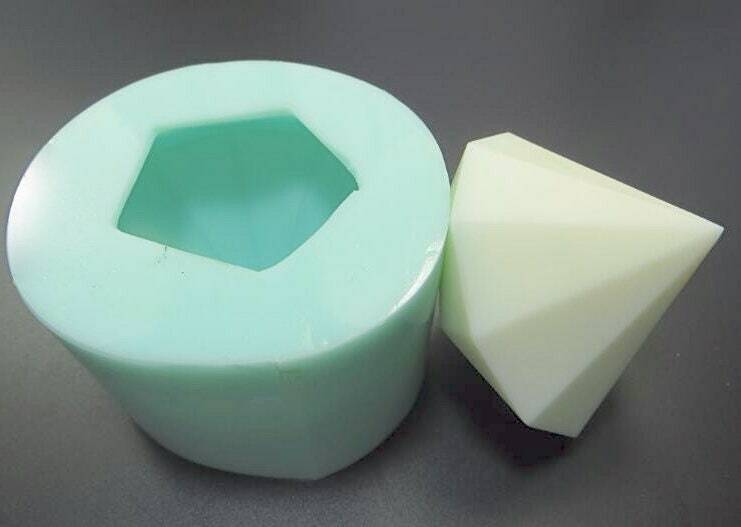 It's a perfect decorative soap size at about 3.5oz. The object The was cast was 3D printed so all of my pieces that I made with this mold have the ridges in them. Fast shipping, and perfect size. 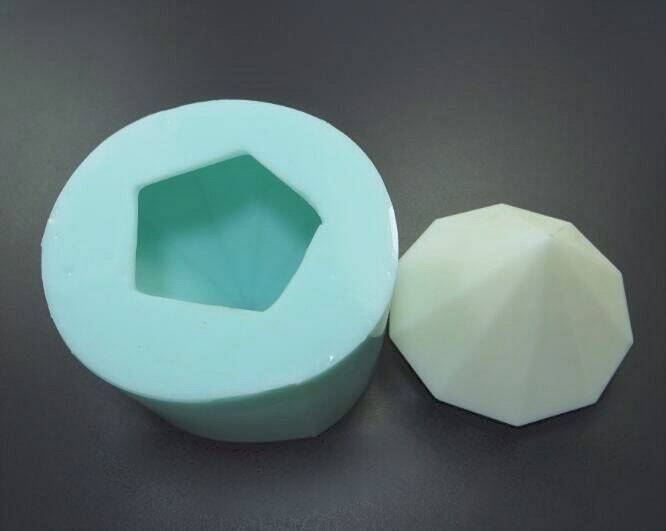 The only negative is the inside of the mold does have several imperfections that transfer over to my soap. Owner explained due to hand pouring of mold, it is unavoidable.